Please reach out if you are interested in hosting a Music Together® Playgroup, attending a free demo class, or just learning more about the program! Celebrate any special day in your child's life with music! Let your child experience all the music, movement and joy of a Music Together Class at their very own party! Music Together of Bloomsburg offers fun, engaging, musical birthday parties for ages 1-5. Our parties are especially great for mixed-age groups. We combine singing, dancing, instrument play and - of course - a finale of "Happy Birthday!" Email for pricing and availability. Thank you to all our friends and family for coming to celebrate Ella’s first birthday!! We had such a blast and we will forever cherish this special day!! Moving to Danville was a big change for us (well mostly for mommy) and we are so lucky to have so much love and support from our friends and family! 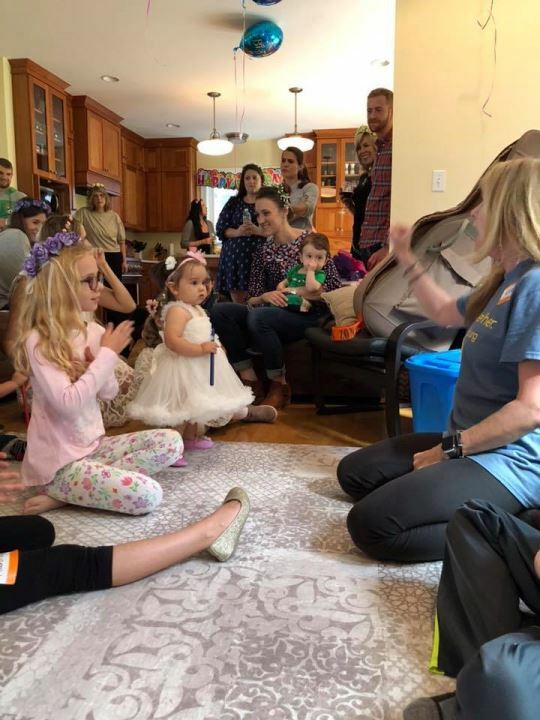 Thank you Kerry from Music Together of Bloomsburg for doing the most amazing music class for all the kids (and parents �� We had so much fun singing and dancing (especially Ella) !! �� And thank you to our beautiful girl Ella for making us laugh and smile everyday! Happy happy birthday! !